I always feel a twinge of excitement when the list comes out for potential PCS locations. As my partner and I begin to fill out our dream sheet, I like to imagine life in a small town, on an island, or even in a big city. Freshly out of graduate school and newly married, my first duty station was in Italy. Travel is a passion of mine. So, moving to Europe seemed like it would be the perfect fix for my travel ready heart (and let’s be honest, what better place to start one’s marriage than Italy!). With my bags packed and masters degree in hand, I was ready to begin work on my postgraduate licensing hours and bring health and wellness to military couples and families. Within a few short months of my OCONUS move I became like Goofy going down the ski jump in The Art of Skiing. The initial launch seemed good. However, it was not long before I realized I was not going to land where I had anticipated. I was tangled up in red tape and I began to grip onto my hopes of obtaining my postgraduate licensing hours at our OCONUS location. I quickly learned to make a few adjustments and broaden my idea of what “landing” would look like and when. Currently in my second OCONUS assignment, I would like to share my experience, strength and hope by passing on a few tips and some encouragement for not just surviving but thriving during your pre- licensure OCONUS move. It is a common recommendation to obtain your clinical license before moving anywhere, as it is slightly easier to transfer a license than it is to transfer pre-licensure hours. However, separating from one’s partner and family for two or more years to obtain licensing hours may not work for everyone. As you begin looking into employment opportunities at the new duty station it may seem like you need a special decoder ring to break the code and join the club. The bigger your network within the agencies both on and off base, the greater your chances are for getting a position to fulfill your hours. Be sure to check with your licensing board in your State regarding specific rules regulating supervision and what type of client hours will count toward your license. If you are hoping to work in your local community off base (aka “on the economy”), be sure to inquire with the legal department regarding the SOFA agreement. Some OCONUS locations have special agreements with the host nation restricting employment “on the economy.” This may limit your options to the organizations/agencies on base. If you are determined to get a paid position on base, brush up your federal resume and check out USAjobs.gov and NAFjobs.org. It never hurts to go to the welcome briefings, often sponsored by the family readiness office, and meet some of the folks from the organizations you may be interested in offering your expertise and services. Also, reach out to your fellow military spouse, behavioral health clinicians. This is a journey that has been traveled by many before and sometimes our fellow clinicians may know of a position coming available or whom you need to contact. You may find that most, if not all available, paid positions require you to be fully licensed. All hope is not lost. Often, volunteer opportunities exist with Family Advocacy, The Family Readiness Group, The Red Cross, and the Chapel, to name a few. For some, taking a gap year (or two+) may be necessary. I was terrified when I took a year off while we were stationed in Italy. My supervisor at the time assured me that it would not be the end of my career if I took some time off and she was right. However, as a beginning clinician it is of value to continue to learn and sharpen your skills. Some gap year fillers may include: obtaining a postgraduate certificate in your specialty/niche, attending an externship with a master clinician, and working on continuing education. Some professional organizations have been known to hold conferences and institutes throughout Europe. If you are particularly drawn to a master clinician, look up their lecture calendar as many of them hold trainings and externships at various locations around the world. Many underestimate the value of their OCONUS experience in gaining cultural competencies. Taking time to learn more about the military overseas and the many changes and challenges military families face may boost your understanding of the diverse experience of military life. But be sure to take advantage of learning the culture and language of the host nation. Self-care is essential when moving overseas. With all the usual PCS stressors, you will also have the added stress of living in a foreign country, possibly a new climate, and a significant time change. During my moves overseas, I have had to become flexible with my self-care routines and even add new ones as my OCONUS locations required. Be sure to add a little extra patience, flexibility and grace to your self-care routines as you transition to an OCONUS location. Leave a comment below if you needed this today! 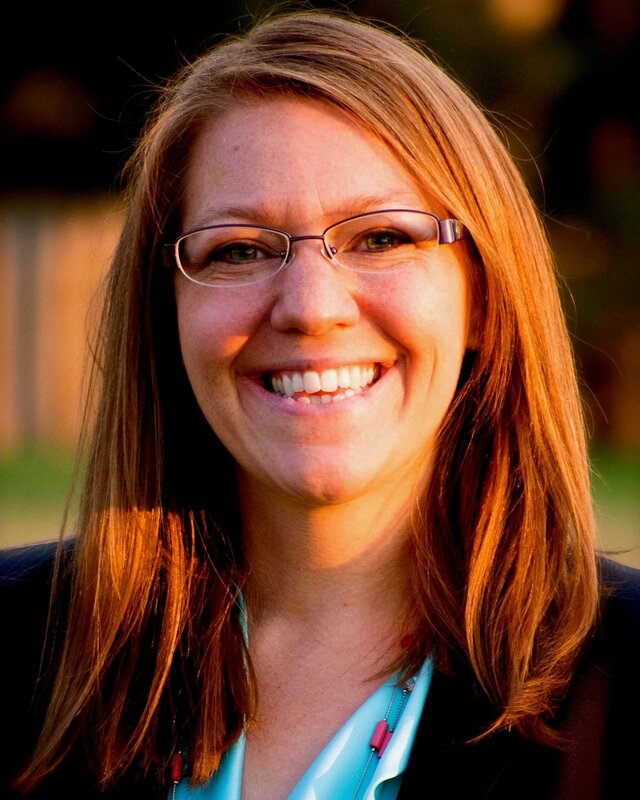 Erin is a Provisionally Licensed Marriage and Family Therapist in Louisiana. She earned a Master’s degree in Theology from Seton Hall University and a Master’s degree in Marriage and Family Therapy and postgraduate certificate in Counseling Children and Adolescents from Regis University. Erin has been a leader and clinician in both the mental health and education fields. In 2014 she was the recipient of the CAMFT Student of the Year award and Ruckert-Hartman College for Health Professions Division of Counseling and Family Therapy Outstanding Graduate Award. Erin is passionate about assisting couples and families find healing and happiness through a context of safe, secure bonds.